I just noticed when I went to start this post that it's my 50th post! That's quite a milestone, half a century. It also suggests I've been neglecting it from time to time – it's over a year old, so that's less that one per week. A few months back I asked Mum for her crochet dishcloth pattern. I was getting tired of throwing synthetic dishcloths into landfill once they were worn out, and wanted to make one out of cotton so I could put in into the compost once it had reached the end of it's useful life. Mum has always made her own, so I knew they were good from my years of doing the dishes at home! I made a start when I first got the pattern, but due to the fact I was using a thicker thread than what Mum had used, it looked way too big, and seemed to be taking forever. I finally finished it yesterday – after pulling it apart and starting again from scratch! I made it about two-thirds of the original size, and it was much quicker to make this time! It may be a little on the small side now, but I'll find that out once I've started using it. You can see me working on it the first time round in the picture in this blog. The marketing book was from an evening class I did that my first employer was kind enough to pay for. My last employer paid for me to do an advertising class last year too, I was obviously good at finding nice people to work for! So this whole self-employment thing definitely wasn't a spur of the moment decision, it's something I've been thinking about for years. Now I just need to turn it into a source of reliable income. I'll keep you posted on how the planning goes. Also today, I have successfully made a Gluten Free loaf of bread that actually has most, if not all the desirable characteristics of bread. This is no mean feat! Since I have been diagnosed as a Coeliac, I am able to get some gluten free items on prescription at a subsidised price. This come in very handy after I lost my job and had to start watching my pennies. I can buy pasta, flour mixes and bread mixes through this scheme, and make bread a lot cheaper than I can buy it. One of the bread mixes is rather terrible on it's own, so I've started experimenting with mixing it with other mixes and flours to try and improve it. 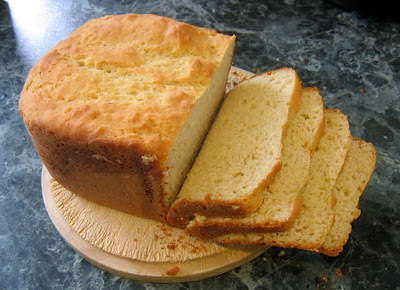 This was my first attempt, adapting a recipe from Gluten Free Bread and Cakes from your Breadmaker. It came out really well, but I'm hoping to hone it a bit and include less eggs, as three really doesn't quite fit with keeping it budget friendly. Once I have got the recipe right I will share it here on the blog. 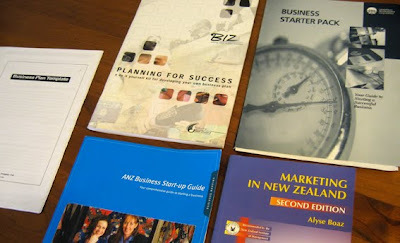 Good luck with the business let me know if you can recommend any of the book... I'm heading towards the same point and some good reading would be very useful.